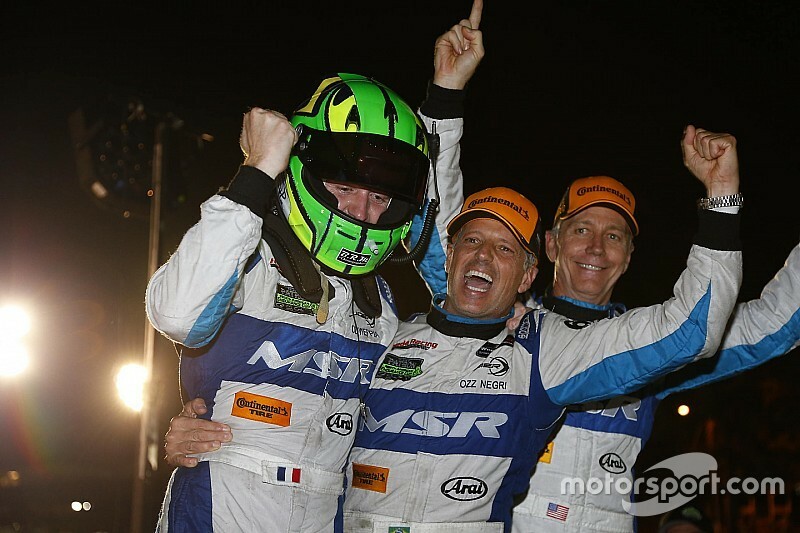 Michael Shank Racing held on to beat ESM Racing to clinch victory in the finale of the 2016 IMSA WeatherTech SportsCar Championship, as Dane Cameron and Eric Curran won the Prototype championship. Aside from getting knocked into a spin in a collision with a GT Daytona-class Porsche just before the final hour at Road Atlanta, neither Ozz Negri nor Olivier Pla had a problem over the final stint… except for Pla having to keep an eye on his mirrors over the final stint, as there was a yellow with 13mins to go. Pipo Derani and the ESM Racing Ligier had come alive over the final couple of hours, slicing past Dane Cameron in the #31 Action Express Racing Corvette DP and Joel Miller in the Mazda Prototype to draw within nine seconds of the winner. The gap expanded again, up to 15sec, and Pla could match Derani’s lap times, but that late yellow bunched the field together once more, and the two Ligiers restarted with just a couple of seconds and three cars between them. However Pla kept his cool and eventually crossed the line 3.5sec ahead of Derani to score Michael Shank Racing's second victory of the year. It was extra emotional for many on the team as John Pew, Negri's regular co-driver, had decreed this would be his last IMSA race in the top rank. Derani, Scott Sharp and Johannes van Overbeek could be relatively pleased with their result considering their race had involved a spin after a clash with Cameron, and then getting thumped up the rear by an errant Ricky Taylor, as the Ligier emerged from the pits on cold tires. Miller, Spencer Pigot – who turned in a stunning double stint that saw him usurp and pull away from the new Prototype champions – and Tom Long deserved to finish third. However, it was the Mazda blowing its engine and catching fire that caused that late yellow. So what should have been a decent consolation prize for Mazda after a season of so much unrealized potential ended in an appropriate but heartbreaking fashion. That late restart allowed Jordan Taylor to stick a Corvette Daytona Prototype on the podium in the type’s last ever IMSA race, having blasted by a circumspect Cameron on that final restart. Aside from Ricky’s late error, he and his brother and Max Angelelli could at least be proud of their efforts on a day when the #10 car never looked the strongest of the DPs. 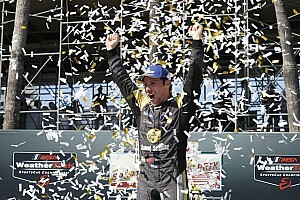 New IndyCar champion Simon Pagenaud had one so-so stint followed by a very strong and smart stint to assist Dane Cameron and Eric Curran to their championship, meaning Action Express Racing clinched the last three championships of the Daytona Prototype era – or the first three of the United SportsCar era. The twist this year was that it was Cameron and Curran in the Whelen Engineering-sponsored car that got the job done, rather than the #5 of Christian Fittipaldi and Joao Barbosa. 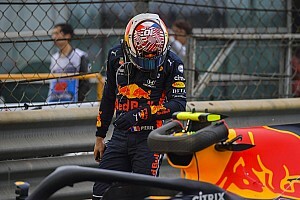 Following Filipe Albuquerque’s puncture, the car also incurred a penalty for blocking the leader as Fassler desperately tried to stay only one lap down. The drive-through ensured his hopes were in vain, and Barbosa drove home to fifth. In GT Le Mans, Giancarlo Fisichella, Toni Vilander and James Calado proved to be perhaps the best trio in the grid, all three driving fast, aggressive when necessary and apparently error-free. Combine that with a flawless Risi Competizione pitcrew, and it would have been a miscarriage of justice had race victory gone to any car other than the #62 Ferrari 488 GTE. To give a clue as to how big Risi’s margin was in terms of all-around slickness, even despite the final restart coming with eight minutes to go, Fisichella was still 15sec clear of the #66 Ford GT driven by Dirk Muller in the closing stint. 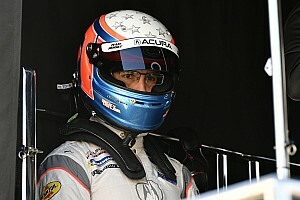 Sebastien Bourdais had turned the Ford into a victory contender in his stint, but Joey Hand found the car very loose as the track got colder when darkness fell. Nonetheless, Muller did just enough in that final sprint to the checkers to keep clear of the Corvette C7.R of the new champions – Oliver Gavin and Tommy Milner who had been ably assisted by Marcel Fassler on this occasion. With victories already this year at Daytona and Sebring, this well-earned title capped a near-perfect year for the #4 squad. Props must also be given to the #3 Corvette drivers Antonio Garcia, Jan Magnussen and Mike Rockenfeller who claimed fourth – albeit a lap down – despite their early mechanical issues. They were assisted somewhat by the retirement of the #25 BMW M6 of Bill Auberlen Dirk Werner and Augusto Farfus, and then the even more dramatic demise of the Scuderia Corsa Ferrari 488 which caught fire on pitlane as it was being refueled. Prompt extinguishing by the team ensured no one was hurt, but it was sad end on a day when Ferraris might feasibly have finished 1-2. At least Scuderia Corsa could take major consolation in their GT Daytona championship victory for Alessandro Balzan and Christina Nielsen. Along with their third man Jeff Segal, the team played the caution card quite highly, stayed out of the more fraught battles, and drove home to fourth (on the road) and a historic title. Nielsen became the first female driver to win a major full-season professional sports car championship in North America. But there was controversy elsewhere in the category. 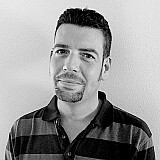 One was intra team, when an overambitious Jens Klingmann smacked into his Turner Motorsports teammate Markus Palttala, while fighting over third place in the final stint. Klingmann was forced to retire the #96 car he was sharing with Bret Curtis and Ashley Freiberg, while Palttala had a long stop for repairs that dropped him to fifth in class. Yet this controversy was put in the shade by the battle for the lead and the change of results after the checkered flag had flown. The #33 Riley Motorsports-run Dodge Viper of Jeroen Bleekemolen – who did the final four hours of the race – and the Magnus Racing Audi R8 driven by Andy Lally put on classic fight over the final couple hours. The Viper’s 8-liter V10 easily had the legs on the Audi on the straights; the German car could carry way more speed through the corner. When Lally finally slipped past the Snake on the penultimate lap, it appeared handling had beaten horsepower. However… IMSA deemed that John Potter, Lally’s fulltime co-driver, had not completed the requisite amount of laps in the car, and the team was moved to the back of the GTD finishers. And so Bleekemolen, Ben Keating and Marcus Miller delivered the Dodge victory in the charismatic car’s final IMSA race. Classified second was Jorg Bergmeister, Matt McMurry and Patrick Lindsey in the Park Place Motorsports Porsche 911 and third went to the new champs. Palttala, and co-drivers Michael Marsal and Cameron Lawrence were thus classified fourth. The Prototype Challenge class ran to form with Tom Kimber-Smith, Robert Alon and Jose Gutierrez earning victory for PR1/Mathiasen Motorsports ahead of James French, Kyle Marcelli and Kenton Koch of Performance Tech Motorsports, and the JDC-Miller Motorsports car of Misha Goikhberg, Chris Miller and Stephen Simpson in third. Renger Van der Zande and Alex Popow, who shared their beleaguered #8 Starworks Motorsport car with David Heinemeier Hansson, clinched a thoroughly deserved championship.